With today’s diverse gifting options around, Early Learning Centre is the perfect eGift for any parents, thoughtful friend, or relative who wants to gift their little ones on any occasion! No more worries about what kind of gift you would present! At Early Learning Centre, we always believe that children learn more when they are having fun! We do our best to enhance parents’ experience in choosing toys, which help children grow into happy, skillful, and self-confident people. 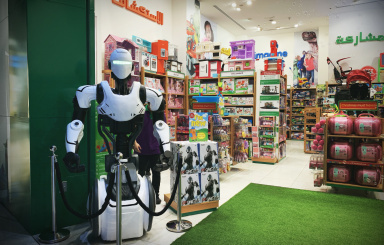 Our finest selection of toys are designed to help children explore the boundaries of their imaginations and creativity, to learn through play and help them be all they can be. 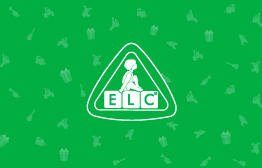 ELC is a one stop shop for educational toys. We represent best in class for parents, Schools, and Nurseries. Safe in the knowledge that we deliver quality toys, and equipment. Parents perfectly know if we stock it, it must be OK! 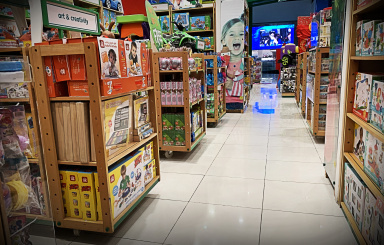 Early Learning Centre stores can be found in most shopping malls and communities across the region. In order to redeem this Gift Card please download the YouGotaGift App to use In-App Redemption with secure PIN. This eGift Card is redeemable for any merchandise offered at Early Learning Centre outlets listed across the UAE. There is no refund, only exchange of merchandise when using ELC eGift Card for purchases.